Welcome to this, the final one of my write-ups from this year’s London Coffee Festival. Previously I’ve written about automatic filter machines, cups, various bits of kit and my coffee experiences, while there’s also my round-up, which provides an overview of the whole festival. 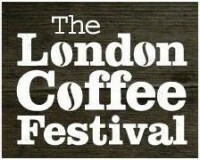 For this, the final instalment, it’s the turn of the coffee, arguably what the London Coffee Festival is all about! However, coffee-bloggers cannot live on coffee alone, so I’ll finish things off with a look at the wonderful food that was on offer at this year’s much-expanded White Label Kitchen (and elsewhere!). Let’s start with a round-up of my usual favourites. Every year, Grumpy Mule take a big stand opposite the True Artisan Café and this year was no different. Talking of old friends, just around the corner were Brighton & Hove’s Small Batch and Bristol’s Clifton Coffee Roasters. Meanwhile, at the opposite end of the room from Grumpy Mule, once again in its customary place, was the Union Hand-roasted stand, which I took a look at during last week’s piece on my coffee experiences. Joining the cool kids for the first time was Allpress, which had forsaken its usual spot in the main hall, which, I think was a sensible move. Having run into the Allpress team at Cup North last year, I made a bee-line for them on my first day at the festival. Carvetii is normally my go-to first coffee of any festival, but Gareth & Angharad couldn’t make it down from Cumbria this year. Instead, Dani from Allpress made me a lovely flat white in my Therma Cup, getting my festival off to a great start. [Note to Carvetii: guys, you’ve got some competition…]. I managed to pick up some of the Redchurch beans, which graced my cafetiere first thing in the morning for a couple of weeks after the festival. I was also given a lovely container to keep them in. Very hand it is too: it’s already been to Porto with me. Elsewhere, old friends Hope & Glory were back again for another year in the main hall, showcasing a special 1st Birthday Blend to celebrate the launch of its on-line services this time last year. Of course, I had to try it, finding it surprisingly bright and fruity, a contrast to other Hope & Glory blends I’ve had in the past. However, I really liked it, particularly as it evolved (and, to my taste) improved with each sip, quite rare in an espresso. The barista made me a second shot as an experiment, this time using the pressure-profiling on the La Cimbali M100 to pull the shot at 12 bar, which reduced through the shot to 8 bar. This resulted in a coffee with more body and less punch, even better in my opinion that the first one. Finally, I had an old favourite, the Blenheim Blend, as a flat white. As ever, it was very smooth and well-balanced. Heading to the new area downstairs, I found that many of London’s big names were out in force. Square Mile had a major stand, which I took a look at during last week’s piece on my coffee experiences, while Assembly, which launched at last year’s festival, was also there. I took a look at the Assembly stand when I cast my eye over the Seraphim Automatic Filter Machine. Joining Square Mile and Assembly was Workshop, which had the unique honour of being the only roaster I could find in the whole festival who had some decaf coffee. Hopefully that will change next year, given the demand there was at the Workshop stand. Despite this, the kind folks at Workshop let me have a bag to take home with me, a Loma Ancha espresso from Colombia, decaffeinated with the Ethyl Alcohol Sugar Cane method. This went down very well in my Aeropress in the evenings after the festival. I also ran into Terrone & Co, which was making coffee on the Coffee Hit stand. I had a very fine Ethiopian Guij through the Aeropress, but alas, there was no sign of Edy Piro to photobomb proceedings. Poor (no) show, Edy! Finally, there was Climpson and Sons. I have this thing with Climpson and Sons at festivals. I go, I see the stand, I think “I must visit at some point”, then the end of the festival comes around and I still haven’t managed it. So, one of my priorities was to make a bee-line for the Climpson and Sons stand on Thursday. As well as the Marco Beverage Systems M9, which I took a look at on my piece on automatic filter machines, Climpson & Sons had a wide selection of its coffee for people to try, a new tea range, and, most of exciting all, a new cascara soda, which might have been my favourite non-coffee drink of the festival. While I really liked the Square Mile cascara soda, there was something about this one that really got me going. Had I had my wits about me, I might have done something radical, like making some notes about it. All I can really remember is that it tasted really good! One of the major innovations this year was the Roasters Village. Perhaps taking a leaf out of Caffè Culture’s book (Caffè Culture introduced a roasters village in 2015) this was a collection of stands next to the True Artisan Café, offering space for eight roasters. These included Cornwall’s Origin, Bristol’s Extract, Bury St Edmunds’ Butterworth & Son and Horsham Coffee Roaster (I’ll let you work out where Horsham Coffee Roaster is from! ), all old friends of the Coffee Spot. There was also Bailies from Belfast, who I utterly failed to visit (sorry guys) and three other roasters who were new, one way or another, to the Coffee Spot. First up was east London’s The Roasting Shed which has been steadily making a name for itself out in Hackney Wick and environs, roasting from interesting single-origin coffees. You can find the coffee in various local coffee shops and now The Roasting Shed has its own espresso bar! Next is Sussex’s Cast Iron Roasters, a relatively new roaster only just into its third year, who I first came across at the Caffè Culture Show last year. It was showcasing some really interesting coffees from Panama. The sister of one of Cast Iron’s owners owns a coffee farm in Panama. Her main business is bees, but she grows coffee as a side line, while her neighbour has a bigger farm, growing some excellent Geisha coffee. Cast Iron had this coffee, but, in an interesting twist, the coffee had been processed three different ways. I tried both the naturally processed and the washed coffee as a filter and they were surprisingly different, although both were very tasty. Finally, there was Modern Standard, another relatively young name in roasting, although founder, Lynsey Harley, is a well-known and well-respected name in speciality coffee circles. I first discovered Modern Standard at the Perky Peacock in York before being surprised to find it being served in my works canteen at Visa… the week before I left at the end of last year. How frustrating was that? Modern Standard is a roaster which has been working hard to get its coffee into non-standard settings, such as works canteens like the one in Visa, through a partnership with contract caterers, Baxter Storey (two of this year’s UKBC six finalists are Baxter Storey baristas). I had a chat with the roaster, Zsuzsa Zicho, while trying a lovely, balanced espresso, a blend of 70% El Salvador and 30% Rwanda, which was one of the best I’d tried all festival. Although not on the Roasters Village, I’d just like to give a shout-out to Frank and Earnest Crafted Coffee from Bury St Edmunds who I found on the Nuova Simonelli stand (although if the truth be told, I’ve never quite forgiven the founders, Richard and Ben for being called neither Frank nor Earnest…). Richard pulled me a lovely, well-balanced Honduran single-origin coffee, up there with the one Zsuza from Modern Standard made me. The first two of this year’s new friends aren’t really new at all. The Electric Coffee Company has been roasting its own coffee for a while now, and I’ve had the pleasure of drinking it at the café in Ealing. However, this was the first time I’d seen Simon and his colleagues exhibiting as roasters. I tried a lovely single-origin filter from Bolivia, which is quite possibly the first Bolivian coffee I’ve had. It was quite a dark, complex coffee, very different from the lighter roasts I’m used to. Yet another coffee shop turned roaster (sort of) is Pharmacie, which is the roasting arm of Brighton & Hove’s Ground Coffee. I ran across Pharmacie on the La Cimbali stand, where I had a lovely piccolo made with a coffee called Lake Kivu from the Democratic Republic of the Congo, a region I’m starting to see a few coffees from. However, the real treat came in a sample bag of a Guji from Sidamo, Ethiopia. I only had about 60g of it and initially put it through my cafetiere. The result was an usually bright and fruity cup, not exactly what I was expecting first thing in the morning, but very impressive nonetheless. Intrigued, I tried it next as a pour-over through my ceramic filter and was rewarded with a very full-bodied, fruity coffee. Just for the hell of it (I had less than half of it left at this point), I put it through my Aeropress and it was amazing that way too, still very sweet and fruity. Finally (and I only tried this because I didn’t have enough beans left for another Aeropress or pour-over) I put it through my home espresso machine and pulled the most amazing shot (I’m calling it beginner’s luck!). Usually I’ll find a coffee goes well through one or two methods, but this is the first time I’ve ever had a coffee at home that’s gone well through everything I’ve tried it with! Final stop in this category is perhaps the most surprising discovery (for me) of the festival. I was persuaded by Jess of EatingEast, to visit The Gentlemen Baristas stand and try a coffee infused with Bulleit Bourbon. Now, if there’s one thing that I generally dislike, it’s flavoured coffees, so this was high on my list of “I’m not going to like this” preconceptions. The process goes something like this: take your green beans and leave them in an old oak bourbon barrel for 14 days, where they become infused with flavours of the bourbon. Then roast as normal. The result? Bulleit Bourbon-infused coffee! The beans in question were roasted by Dumo Mathema of The Roastery Department. The Gentlemen Baristas used two beans, one a Los Hernandez single-origin from El Salvador to produce an espresso roast called The Trucker and the other a Colombia single-origin from Cuacacayo for a filter roast called The Gatsby. I tried The Gatsby first, which had been prepared using a Chemex. It had a wonderful, smoky flavour and was easily the best filter coffee of the festival. I also tried it through the Aeropress (which we believe was a world-first), although I marginally preferred the Chemex. For completeness sake, I also had The Trucker, but decided that this was not for me: the resulting espresso was really bright, best described as a punch in the mouth! Not that there was anything wrong with it, it was just too overpowering for my poor taste buds. But The Gatsby, wow! Give me that any day. You can also see what Daniel of Cups of Coffee London made of it when he attended the launch a few days before. Meanwhile, fellow coffee-blogger Bex shares her thoughts on it in her Coffee Festival Round-up. Finally, before I go, let me sing the praises of this year’s expanded White Label Kitchen. In previous years, there was an excellent Street Food Market, but last year, space demands led to the food offering being squeezed into the back of the Shoreditch Zone. Given the name of the White Label Kitchen, the food was excellent, but the space was not so good and there was nowhere to eat. This year, with the new space opening up downstairs, there was room to expand the White Label Kitchen and give it a dedicated area. Two dedicated areas, in fact, one for serving and one for eating. This was supplemented by Gather & Gather downstairs in the Milk and Sugar zone, serving breakfast, lunch and cake. I had a couple of excellent coffee and hazelnut friands there on the first day. On the first day, I had a very tasty falafel wrap with hummus from Maison Touareg, while on the following day I visited the Arancini Brothers, who supplied me with a mushroom zucchini risotto burger, and fries, of course. It was so good that I had it again two days later! In between, I went for a little bit of variety and had a salad box with smoked salmon from Pollen + Grace. All the food was excellent, but I have to tip my hat to the Arancini Brothers and say that yet again, they were my favourites. Of course, it wasn’t all healthy(-ish) food. A London Coffee Festival wouldn’t be complete without the Crosstown Doughnuts stand. Crosstown supply some of my favourite coffee shops in London and the doughnuts are outstanding. Last year I was thwarted on more than one occasion by Crosstown selling out, but this year lessons had been learned and there seemed to be a never-ending supply! I also ran into the lovely folks from Cakesmiths in Bristol, who seem to feel compelled to give me cake every time they see me (which is a nice compulsion to have!). As well as an amazing espresso cheesecake brownie, I also tried the smashing pumpkin bread (toasted) and, of course, the obligatory banana bread (toasted as well). The banana bread is so awesome you can eat it on its own, without even buttering it, while the smashing pumpkin bread is perhaps even better, the pumpkin seeds on the top adding a savoury element. As if that wasn’t enough, I was given a box of cakes and told to take them home with me. Well, I can’t argue with orders like that! As well as every mentioned in the text who gave me coffee, I’d like to thank Square Mile for the gift of some Rainha Natural Brazilian beans, the Coffee Monger’s Roasting Company for some of its Regina blend and UCC for a bag of its Composition No.1 blend from the Grand Cru range. That concludes my look at this year’s London Coffee Festival. Don’t forget, the festival is back next year, from 6th to 9th April 2017, so put those dates in your diary right now! For other perspectives on the Festival, check out the following reviews by Bean There, Bex, CoffeeGirlNeeds and Jade Derrick, while the Commodities Connoisseur has produced another of his extremely thorough festival reviews, which has, in Coffee Spot style, been split up into four parts. For a different perspective in a different medium, check out Episode 24 of The Right Roast on You Tube. For more kit for the festival, Perfect Daily Grind has produced a list of seven products to watch, while Jess of EatingEast, also writing for Perfect Daily Grind, reported from the festival, looking at why baristas went into coffee. Meanwhile, you can see what Square Mile made of the experience of exhibiting, while another exhibitor, Hope & Glory, also gave its take on the festival. Another perspective is provided by writer, radio producer and DJ, George Luke, courtesy of London’s Best Coffee, while there’s also this by Charli Nice in Adventures of a Nice Girl. Haha the coffee pusher over here 🙂 I’m glad you liked the bourbon barrel coffee, the roastery dept are infusing coffee in rum barrels next! Yay I can’t wait to try it.